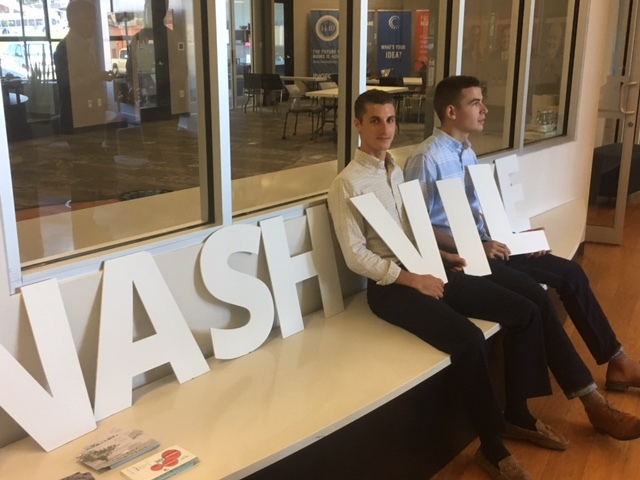 Profile Response: Jeremy Raley and Chris Keshian, Nashville Entrepreneurial Center, Nashville, TN | How Will We Live Tomorrow? The morning I arrived at the former Nashville Trolley Barns turned incubator offices and trendy eateries, I counted six cranes on the city skyline. Nashville is a happening place. It’s cool, it’s growing, and it has a vibe of urban sustainability. Those things do not occur only by chance. Urban vitality is a cocktail of planning, implementation, and good fortune. Nashville has long been a music mecca, but these days it’s more. 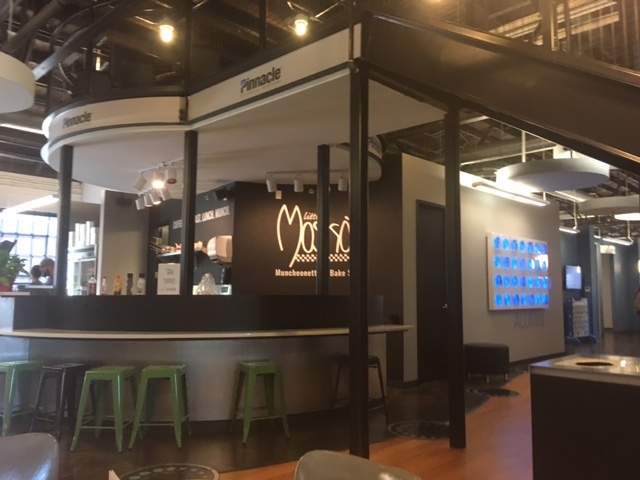 A decade ago, the Nashville Chamber of Commerce did a study of the area and decided to emphasize entrepreneurship. 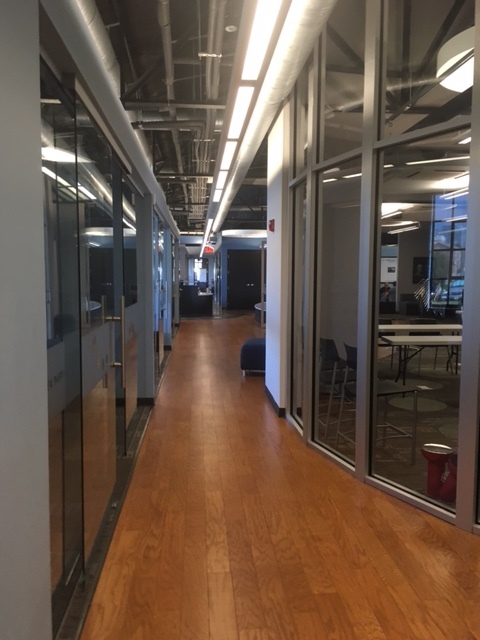 In 2010 they spearheaded NEC (Nashville Entrepreneurial Center). Jeremy Raley is the membership chair. He explained NEC’s premise to me while also staffing the reception desk. Multi-tasking is key to the place. At question time, Chris Keshian, an NEC intern, joined the conversation. “We are not very far from a future of self-driving cars powered by electricity, drones that will deliver our goods. It’s going to extend to building construction, framing, there will be Internet connectivity of everything. When a window breaks, a drone will be called up to repair it. I also see a profound shift from oil to solar energy to nuclear fission. “We will create a new form of community. We’ll play video games that are so real they will become our reality. I did an Oculus AR demo. I was so into it and could not be distracted because I was totally in it. 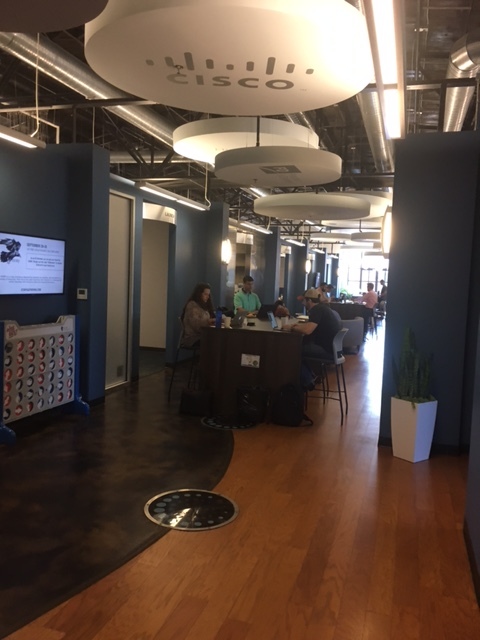 This entry was posted in Responses and tagged Jeremy Raley, Nashville Entrepreneurial Center, Nashville TN, NEC. Bookmark the permalink. Why would anyone be excited about this?